America’s Navy is coming to Albuquerque soon, one of 15 cities selected to host a Navy Week, one of the Navy’s signature outreach programs. 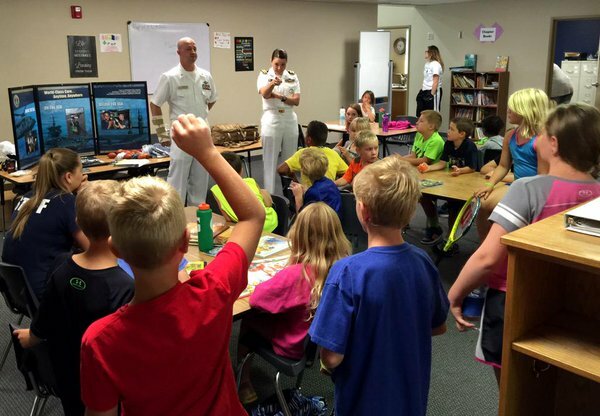 Since 2005, the Navy Week program has served as the Navy’s signature outreach effort into areas of the country which do not have a significant Navy presence, with 181 Navy Weeks being held in 68 different U.S. cities. Navy Weeks focus a variety of outreach assets, equipment and personnel on a single city for a week-long series of engagements with key influencers and organizations representing all sectors of the market. "During a Navy Week, 75-100 outreach events are coordinated with corporate, civic, government, education, media, veterans, community service and diversity organizations in the city," said Lt. Cmdr. Brett Dawson, Navy Office of Community Outreach Event Planning Department. "We bring in as much of the Navy as we can. The Blue Angels, the Navy Parachute Team, bands, divers, Seabees, EOD (Explosive Ordnance Disposal) teams, crews of ships and submarines that are named after a city or state or have a tie to the area, hometown Sailors, medical personnel, environmental displays, USS Constitution Sailors and equipment, and Navy recruiting assets all have participated in the Navy Week program."